With household cleaner use being as dangerous for your lung health as long-term smoking, clearing out your cleaning cabinet could be a really simple way of safeguarding your family’s health. It’s true, research1 from the University of Bergen in Norway has demonstrated that once-weekly use of cleaning products for 20 years may be equivalent to smoking 20 cigarettes a day for 10 to 20 years. These findings also highlight the importance of addressing your indoor air quality, as VOCs are typically seven times higher indoors than outdoors.10 For a list of strategies you can use to lower and remediate indoor air pollution, see “Reduce Indoor Air Pollution.” A key strategy, however, is to stop introducing toxic chemicals into your home, and cleaning products are a major source. The good news is you really don’t need to buy chemical cleansers to keep your home spick-and-span. Keeping a few natural and nontoxic staples on hand will allow you to clean your home from top to bottom, saving you money to boot. Core staples to consider include the following. In the sections that follow, I’ll provide guidance on how to use them all. Drain cleaner — To unclog a drain, pour one-half to 1 cup of baking soda down the drain, then slowly pour one-half to 1 cup of vinegar in after it. Cover the drain and let sit for 15 minutes. If it bubbles like a volcano, it means it’s working as planned. Flush with a gallon of boiling water. Coffee maker — Run a cycle with plain water, then add a mixture of lemon juice and water to the water tank. Let it sit for several minutes, then run the cycle through. Repeat this process once more, then run another plain water cycle (you’ll want to wash the coffee pot and filter afterward to remove any lemon taste). Hydrogen peroxide is another antibacterial option. For general cleaning around the house, simply add 20 to 30 drops of citrus essential oil to a spritzer bottle filled with 3 percent hydrogen peroxide. Spray surface and wipe off. It’s great on greasy surfaces such as your kitchen counters. 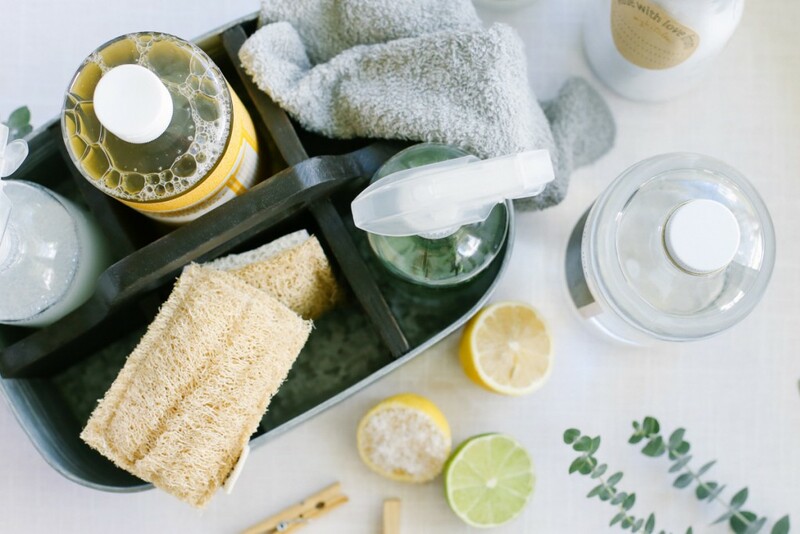 Once you dip your toe into the world of natural cleaning, you’ll realize there’s virtually no reason to resort to toxic chemical sprays and powders. You can reach a superior level of clean using simple ingredients you probably have in your kitchen right now. And feel free to be creative, as some of the best combinations are found through experimentation. You can even make your own laundry detergent, adding in any essential oils you like for a natural scent. Here’s a recipe from Mommypotamus to get you started.35 Happy natural cleaning!